We have already seen top Google Chrome extensions to secure your web browsing, now lets talk about Firefox add-ons a bit. 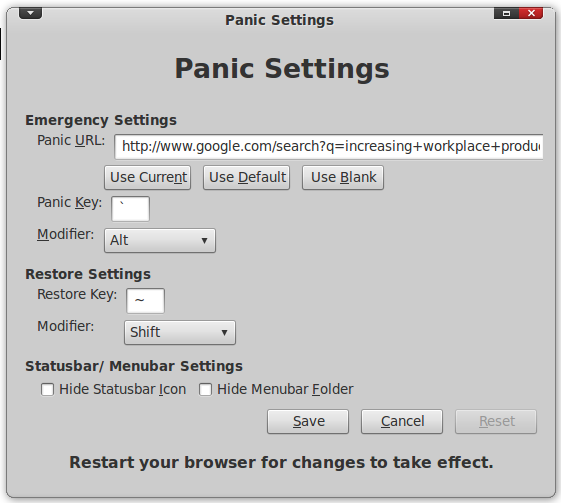 Many of the Google Chrome extensions we featured are originally inspired by Firefox's top notch add-ons. So without much delay, lets start making Firefox a much more secure one. Web of Trust(WOT) add-on is a safe surfing tool for your browser. WOT ratings are powered by a global community of millions of trustworthy users who have rated millions of websites based on their experiences. Download WOT Firefox Add-on. 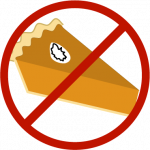 BetterPrivacy serves to protect against not deletable longterm cookies, commonly known as 'Super-Cookie'. This new cookie generation offers unlimited user tracking to industry and market research. 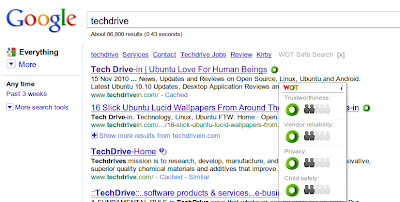 Download Better Privacy Firefox Add-on . Close'n Forget is a simple add-on that closes the current tab and make Firefox forget about the visit, suppressing cookies related to the current page and cleaning the browser history. 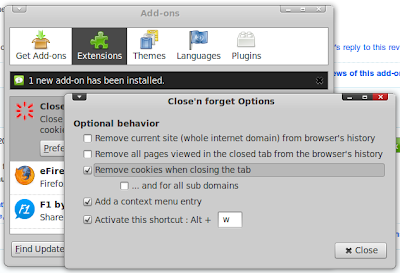 Download Close'n Forget Firefox Add-on. TabRenamizer will change the titles of your tabs to random ones with a simple click. Nobody will suspect what pages are you reading. It's that simple. 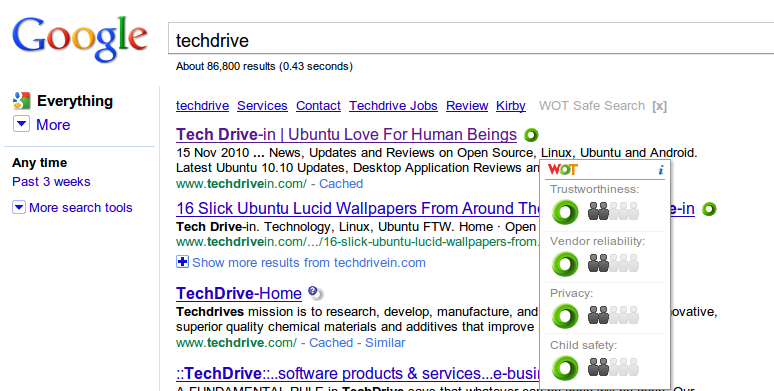 You can even rename all tabs with a certain URL or domain with the title you want, automatically. 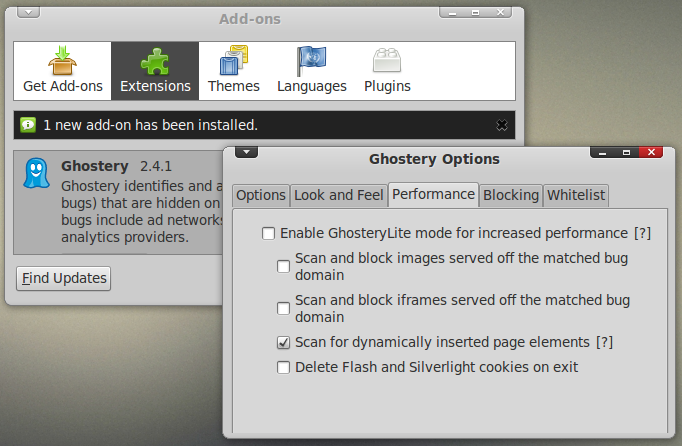 Ghostery is another add-on that can go a long way to protect your privacy. Ghostery sees the "invisible" web, detecting trackers, web bugs, pixels, and beacons placed on web pages by ad networks, behavioral data providers, web publishers, and other companies interested in your activity. Download Ghostery Firefox Add-on. 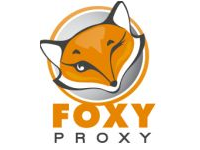 FoxyProxy is an advanced proxy management tool that completely replaces Firefox's limited proxying capabilities. It offers more features than SwitchProxy, ProxyButton, QuickProxy, xyzproxy, ProxyTex, TorButton, etc. Download FoxyProxy Firefox Add-on. 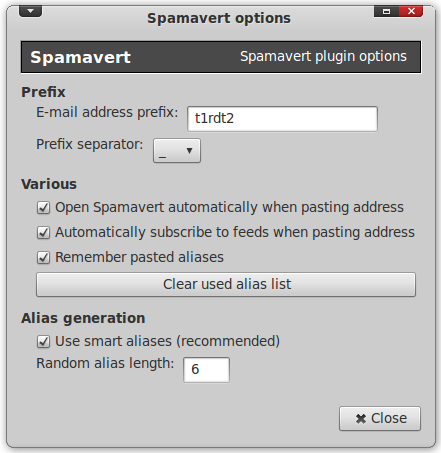 Spamavert generates temporary e-mail addresses for all those pesky online registration forms using the free spamavert.com service. Simply right click and choose spamavert temporary email address whenever you are required to enter your email id and you don't trust the source. Download Spamavert Firefox Add-on. LinkExtend provides meta-site-ratings for computer safety, child safety, company ethics, and popularity. 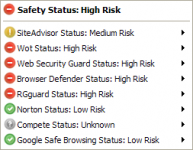 Safety results come from eight online services giving you a safer browsing experience. 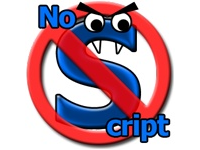 Site links, titles, files and reviews are also included. 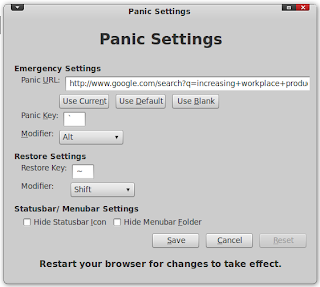 Panic add-on gives you the ability to close all tabs, while opening another one(which you can configure) that will make it look like you are doing what you should be doing. Though I have made maximum effort to be as accurate as possible, please do read about the add-ons carefully for yourself before installing. Meanwhile, you might want to check out the newest add-on from mozilla labs called F1 to share and manage links fast and easy.